The Architecture of Address traces the evolution of an American species of lyric capable of public pronouncement without polemic. Beginning with Whitman, Jake Adam York seeks to describe a kind of poem wherein the most ambitious poets--including Hart Crane and Robert Lowell--occupy and reconstruct important public spaces. 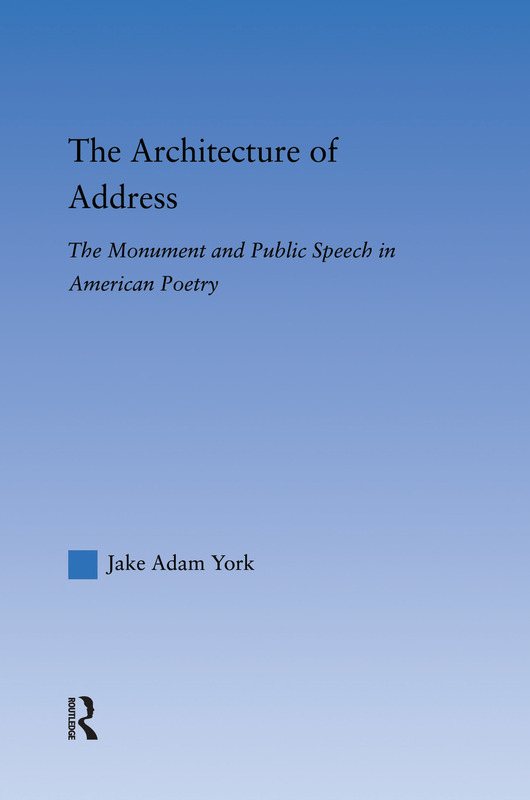 This study argues that American poets become civic actors when their poems imagine and reconstruct the conceptual architecture of the monument.